As Southern Michigan’s premier office moving specialist, Michigan Office Movers also offers our clients a complete suite of office furniture services. Based on your organization’s specific needs we can help design a comprehensive strategy that allows for the acquisition, liquidation, installation, or refurbishment of office furniture systems. We offer you a thorough knowledge of furniture brands, systems and designs to help you choose the right solution. 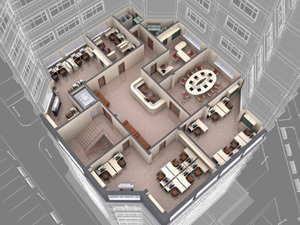 Our skill set extends to the installation and reconfiguration of a variety of cubicle systems. Michigan Office Movers’ professional space planners can even design a custom configuration based on analysis of floor layout and design. Our cubicle refurbishment and cleaning services enable you to reduce expenditures associated with purchasing new systems. Whether you simply need to revamp your current cubicle configuration as part of a selling or acquisition process, or you would like your cubicles cleaned at the destination end of your relocation, we provide an efficient and thorough process. Finding enough space to store furniture inventory is a challenge common to many organizations. Our office furniture storage services allow a cost effective solution for reclaiming billable office space and eliminating unnecessary warehouse storage. We offer an efficient delivery process for getting you the inventory you need in a timely manner. Michigan Office Movers can also provide for the liquidation of used or unwanted furniture assets. With a vast network of resources, we help you get the best value for your money. We offer our clients a vast inventory of used office furniture for purchase. We have a variety of options to meet your particular needs and budget. Through a comprehensive consultation, our professional space planners will provide you with a custom furniture layout and design plan. After reviewing your organization’s specific needs, we will offer you several solution options for maximizing productivity and revenue. High density file systems are important for maximizing space but can be challenging to install and maintain. Their installation requires a highly specialized skill set and must take into consideration things like floor load, access and safety. Our file system experts will analyze your facility and provide you with an efficient and safe installation.